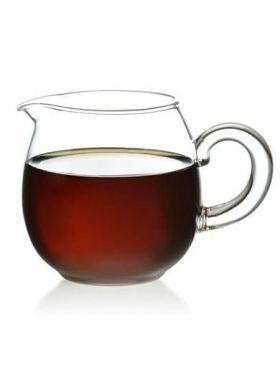 The tea pitcher with no handle virtually brings people and teas closer, and besides, this tea pitcher is nice and easy to use. 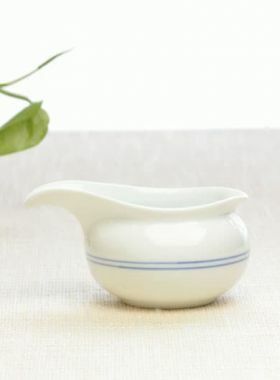 Ru Yao porcelain, named after it is originated in Ruzhou, is a very precious ceramic, which ranks the first place among Chinese Five Famous Kiln -- Ru, Guan, Ge, Jun, Ding (汝、官、哥、钧、定). The two special characteristics of Ru Yao porcelain are the glaze color and Kai Pian. The glaze color of this pitcher is azure, which just like the color of the sky after raining. 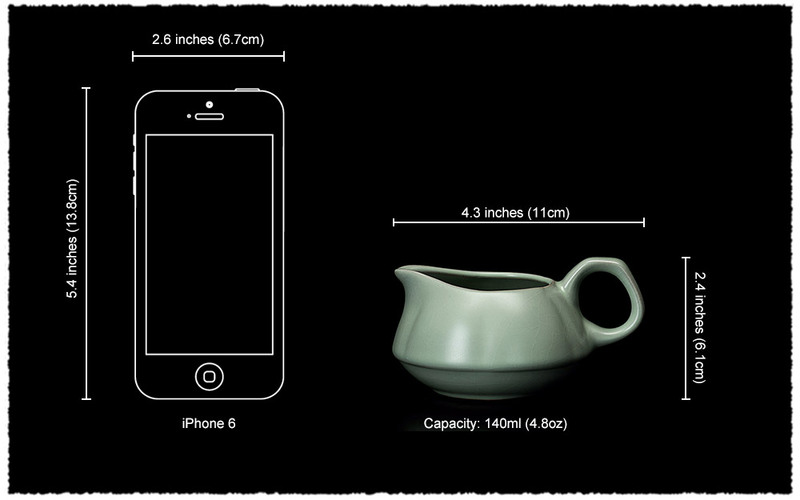 In addition, the tiny grains (cracks or “Kai Pian” in Chinese) are not conspicuous for the new pitcher. But with long time use, the tea liquid will gradually penetrate into the cracks, so that we can see these grains clearly. The deeper the grains, the more charming the pitcher will be. 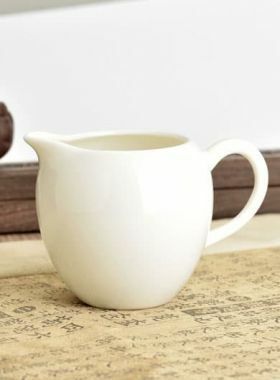 The tea pitcher is used to serve the tea liquid, which can homogenize the taste and concentration of tea liquid, and share to tasting cups. While the design of the handle makes it more convenient to pour the tea liquid without being scalded by hot water, even if you are a beginner.